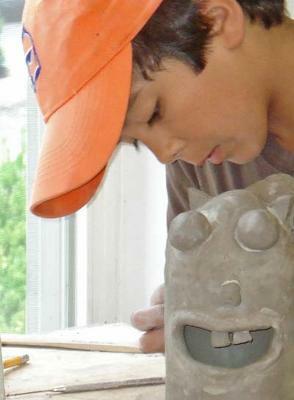 Lakeside Pottery is a ceramic art educational resource focusing on clay art. Learn the art of pottery through our ceramic art classes, using the potters wheel and sculpting, in a professional, spacious and well lit studio centrally located in lower Fairfield County, Stamford, CT.
Instruction activities for children and adults include group classes (beginners and advanced), private lessons for adults or children, after school ceramic art classes for children, school break and summer day camps. 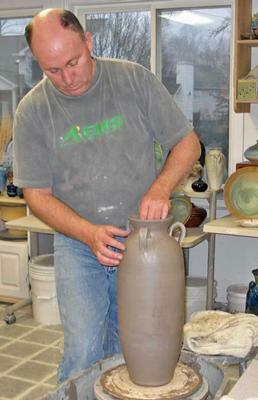 Use of Open Studio space can be purchased by potters and sculptors for independent work and firing. Teachers professional development, corporate team building workshops/events, custom programs, birthday party events for children or adults and gift certificates are also available. 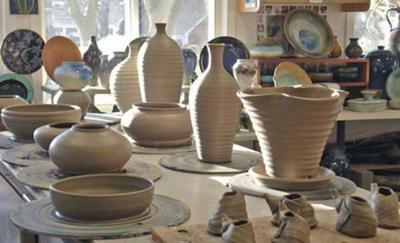 Our gallery includes diverse handmade pottery work made by our instructors. I hope that next time I'm on the east coast I can find the time to stop in and see your great facility.